So, did another dye run. Took a de-tampo’d Forza P1 and left it in red dye for decently long time and got this. Makes me think what I would’ve gotten last time if I don’t mix colors. I mean I did my lilac Fords GT but just lookit the results. 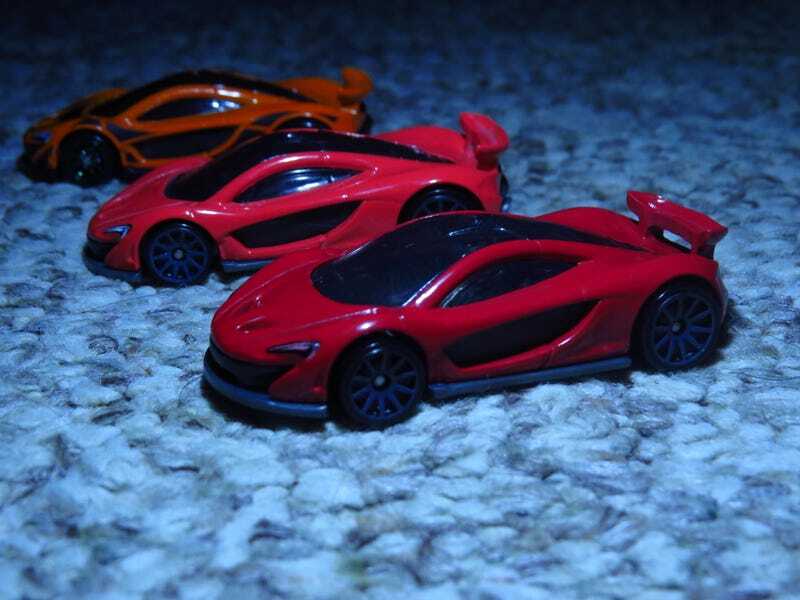 You might not be able to tell well in this pic but P1 up front is straight-up scarlet, while the Forza P1 in the middle is more a red-orange. Notheless, anyone around here have any silver P1s/GTs hey don’t want no more? I’m enjoying this.